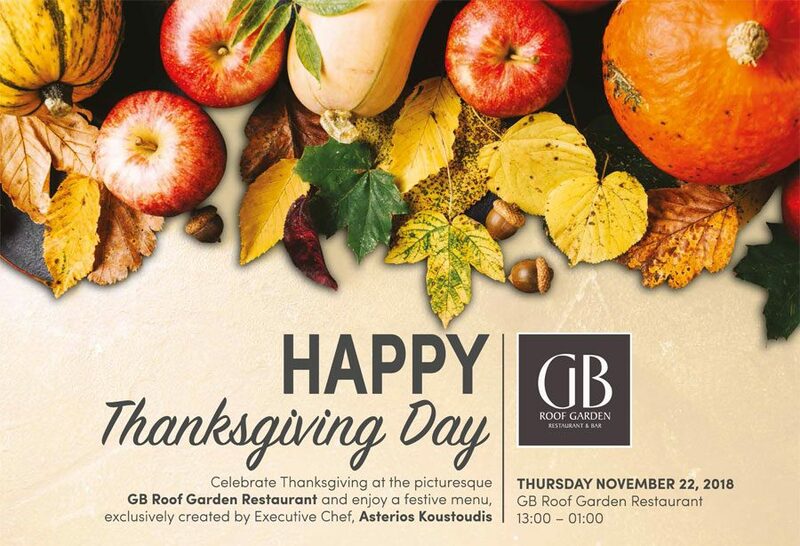 What better setting to show gratitude and appreciation for the little pleasures in life than at the GB Roof Garden with the Acropolis in full view and the bustling city below. Celebrate Thanksgiving in true American style with a cornucopia of seasonal vegetables and a festive menu rich in flavours and textures. Executive Chef Asterios Koustoudis pulls all the stops to curate a menu that you will indeed have a lot to be thankful for.